It’s a nod toward potentially a lot of different movies. I mean certainly the Wolverine movie is related to what happens at the end of it, but there’s also another character that’s introduced, at least in name, in the tag and he could show up in any host of different X-Men films. 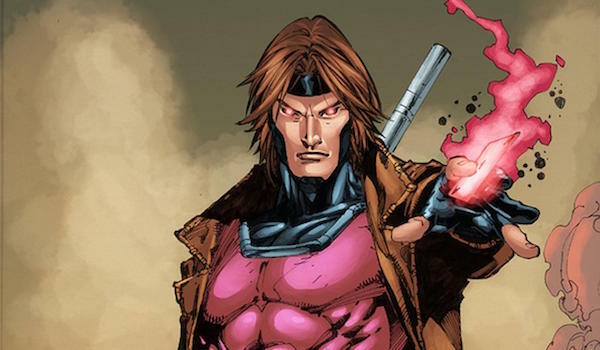 Maybe a Gambit movie, maybe another X-Men movie. Kinberg revealed this during an interview with Collider, but didn’t provide any more details as to who this character is. With X-Men: Apocalypse serving as both a conclusion to the current batch of X-Men movies and the birth of new ones, it’s hard to say who this new player might be. For now, we’ve gathered up our top guesses, from brand new folks to re-imagined versions of people we’ve already met. The X-Men movies have used a lot of the mutant superhero team’s adversaries, but one of the major ones that still hasn’t had his time to shine is Nathaniel Essex, a.k.a. Mister Sinister. Essex originally lived in the 19th century as a geneticist whose experiments explored mutation, but were considered by others to be immoral and dangerous. Fortunately for him, he eventually met Apocalypse, who transformed him into an immortal being with powers like telekinesis, energy projection, shapeshifting, regeneration and more. 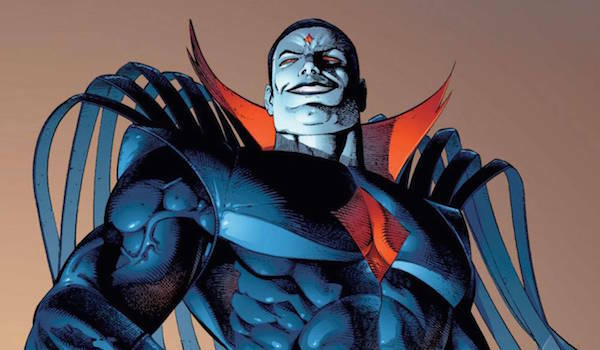 There hasn’t been any hint of Mister Sinister being in X-Men: Apocalypse, but that doesn’t mean En Sabah Nur hasn’t paid him a visit in this continuity as well, thus paving the way for a future appearance. Mister Sinister can be a great villain in the X-Men movie universe, and because he’s long-lived, he can pop up in any movie necessary, whether it’s Gambit, Wolverine 3, New Mutants, etc. With his abilities and own resources (we’re guessing he’s ridiculously wealthy), he could be a formidable threat to just one of the heroes or an entire team. In the Deadpool post-credits scene, Wade Wilson (while putting his own twist on the end of Ferris Bueller’s Day Off) stated that Cable would appear in Deadpool 2, and the director and writers have since teased how the time traveling mutant will be incorporated in the sequel. With the exception of Colossus and his trainee, Negasonic Teenage Warhead, Deadpool didn’t really have any major connections to the rest of the X-Men movies, but Cable can serve as a great bridge between the two sides. So how does he connect to X-Men: Apocalypse? As comic book fans know, he’s the son of Scott Summers and Jean Grey, both of whom are participating in this movie. Scott and Jean are just meeting each other here as teenagers, but in this new timeline, they could have a child who, just like in the source material, has to be sent to the future. As an adult, he then has to travel back to when his parents were young. 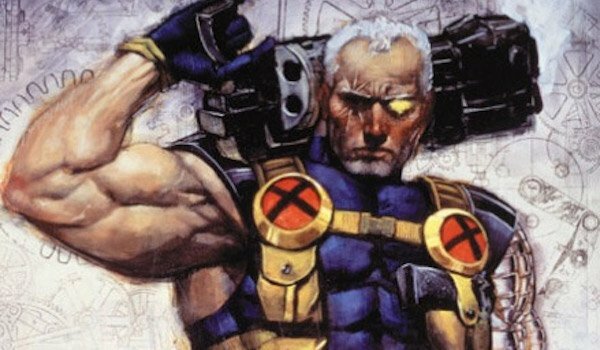 Cable is tied to Deadpool 2 right now, but maybe he goes back in time even further, and from there, that could lead to a presence in New Mutants, given that he mentored the team in the comics. Gambit got off to a rough big screen start in X-Men Origins: Wolverine, but 20th Century Fox has made it clear they want to give him another shot in this new timeline, but with Channing Tatum in the role. Just because the Ragin’ Cajun’s solo movie was taken off its release date doesn’t mean that they’ve given up on it, and throwing in a Gambit cameo at the end of X-Men: Apocalypse. Following various rumors, Tatum said last year that Gambit will not show up in the movie, but reshoots have occurred since then, and these post-credits scenes usually don’t take long to film. Remember, X-Men: Apocalypse takes place around the same time that X-Men Origins: Wolverine did, so Tatum’s Gambit could still be active during that period, and this scene could tease audiences about his solo adventure. Granted, that doesn’t explain how Deadpool is now set up in the present, but for Gambit’s sake, keeping him in the 1980s would work for both his own movie and the whole franchise. Onslaught might be tricky to pull off on the big screen, but it’s not impossible that this is the post-credits character. 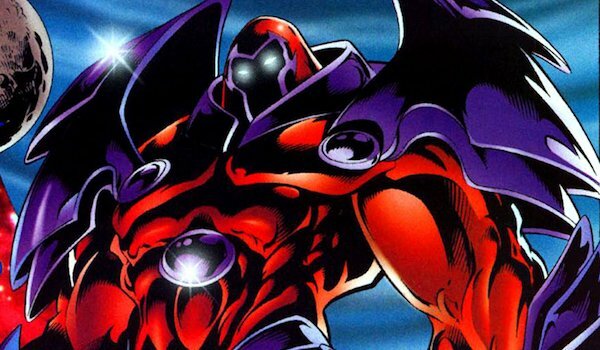 In the comics, Onslaught was a "sentient psionic entity" created when Charles Xavier used his telepathy to render Magneto catatonic. The darkest aspects of his mind somehow seeped into Xavier’s mind, and after manifesting itself in a few other people, this Onslaught being eventually gained its own mighty form. Something similar could go down in X-Men: Apocalypse. Maybe while Magneto’s helmet is briefly off his head, Xavier is able to telepathically shut him down, thus kicking off a similar series of events. Even though the "First Class" trilogy is concluding with X-Men: Apocalypse, that doesn’t mean that James McAvoy and Michael Fassbender are done with the franchise permanently. The next X-Men movie is said to take place in the ‘90s, and if this happens to be New Mutants, Simon Kinberg revealed that McAvoy’s Xavier will be involved. If they can get Fassbender to reprise Magneto, then Onslaught can eventually be born, and X-Men: Apocalypse will hint at his existence.